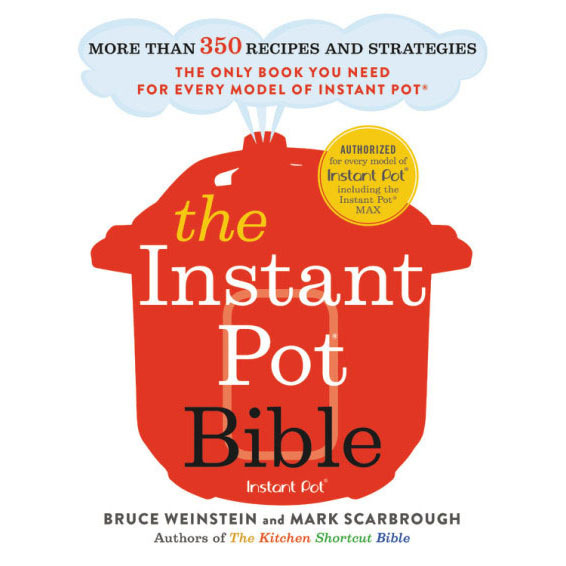 We love cookbooks that make our lives a little easier. 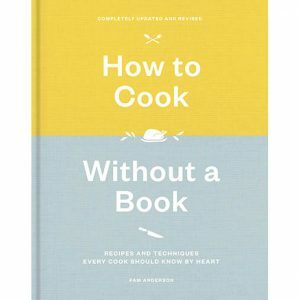 And Pam Anderson’s updated classic, How to Cook Without a Book fits the bill. The original is a teenager now—almost 20—which makes it ripe for reinvention. (Certainly, the ol’ conundrum of how to get a delicious dinner on the table for a hungry family sometime before 8 PM hasn’t changed much, but many things for homecooks have). From how to stock a pantry to how best to work with today’s now-readily available ingredients, How to Cook Without a Book is loaded with formulas that teach you to look at a list of ingredients and imagine the thousand things they can become when prepared or cooked a certain way and combined with one another. You’ll find techniques every home cook should know, which helps either refresh your skills or up your game, depending on where you are on your cooking journey. Anyone can follow a recipe; Pam’s reboot teaches you how to pull a meal together on the fly. Call it cook’s intuition, and Pam helps you develop it. If the title has you worried there aren’t recipes, rest assured. Pam’s formulas include Master Recipes that get your started, plus plenty more ideas for directions you could go in. For example, a simple tomato sauce becomes the base for many dishes around the globe—not just Italy. It’s up to you in this book. Where do you want to go?